Diversity DJ note: The following are my insights and interpretations based on my experience with organizations who successfully practice diversity management. 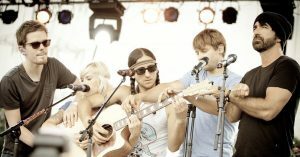 I have not interviewed @walkofftheearth, though I would gladly welcome the opportunity to do so! 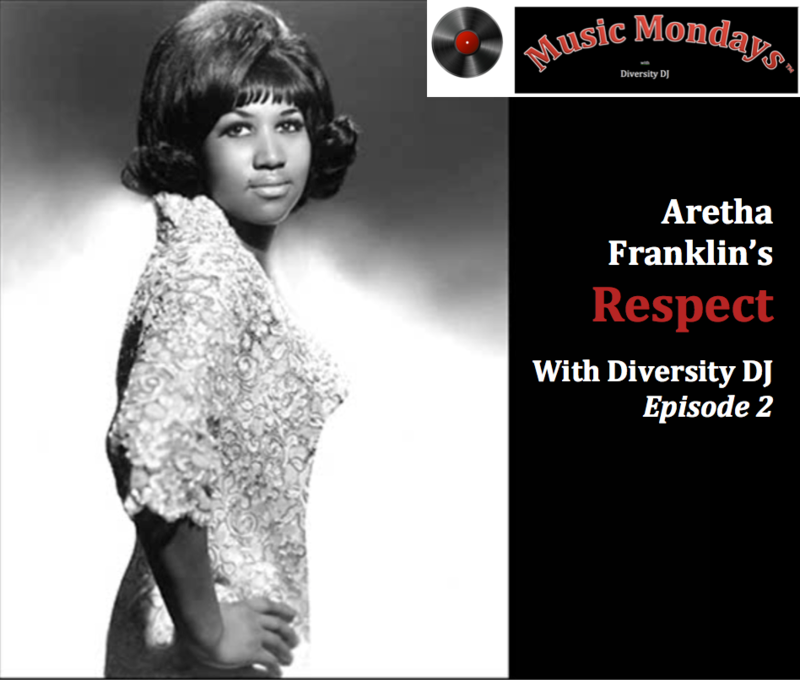 Welcome back Music and Diversity Lovers to the latest episode of Music Mondays. Diversity DJ here, spinning the virtual vinyl for your listening pleasure. That thing they’re playing is called a GuitHarpUlele. A Guitar, Harp and Ukulele (plus drums and percussion) all in one. I call it a house built for diversity. What is a house built for diversity? A house built for diversity is any collection of people, such as families, teams, organizations, communities and nations, that can embrace mission-critical differences and similarities for the sake of achieving great outcomes or objectives. My father, Dr. Roosevelt Thomas, Jr., introduced this concept in his allegory of a Giraffe who operated a home-based woodworking business. Of course, the home was built for Giraffes, with tall ceilings and narrow hallways. However, he needed to hire an Elephant to help meet increasing customer demand. You can imagine the challenges they faced when an Elephant tried to work in a house built for a Giraffe. The Giraffe’s house was not built for diversity. Differences and similarities and the related tensions and complexities between the Giraffe and Elephant could not be resolved. As such, the Giraffe couldn’t achieve his objective of meeting increased customer demand. But the GuitHarpUlele? Now that’s a house built for diversity. Using this one-of-a-kind instrument as a symbol for a house, let’s explore 4 principles WOTE utilized to build their house for diversity. Requirement #1: All players must perform together. Requirement #2: The band must create innovative covers or original songs (a “cover” is your reinterpretation of someone else’s original song). Requirement #3: The band must create engaging and entertaining videos. 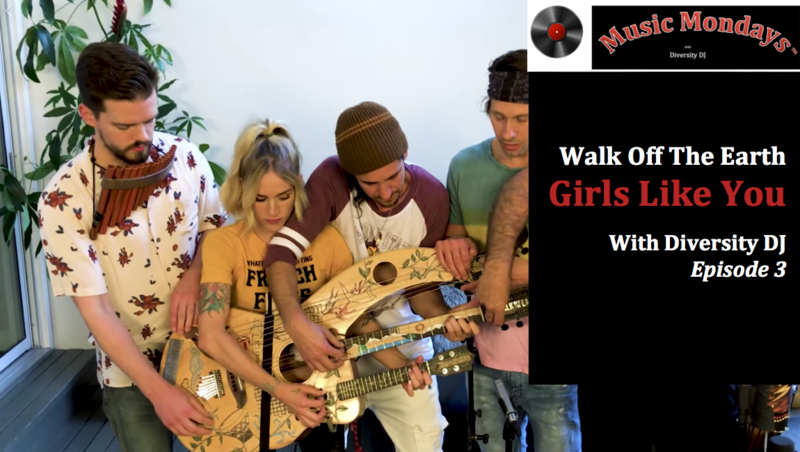 If we take a look at the band below (and this video), the GuitHarpUlele fulfills those requirements. To learn more about requirements, read this post. Requirement 1? Check. All players are “all hands on deck” – literally – when it comes time to play. Room has been made for each player to contribute their unique skill set to contribute to the success of the performance. No one was left out. Requirement 2? Check. The group’s musical interpretation of the song isn’t innovative. I’m not knocking the performance. I’ve been playing it on repeat all weekend. But it’s pretty much an edgier acoustic (non-electronic) version of the original. But playing it on the GuitHarpUlele? Innovative. Requirement 3? Check. 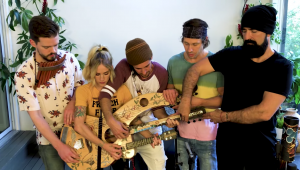 Though the video is just a recording of them performing the song, it’s fascinating to see and hear 5 people playing on one instrument. Every aspect of WOTE’s house has been intentionally considered in order to make room for each team member. That intentionality communicates that WOTE sees each player as essential. The physical arrangement of the instrument speaks to intentionality. You have the 3 stringed components of the GuitHarpUlele (Guitar, Harp, Ukulele). Having 3 people (Players #2, #3, and #4) play a single instrument would have been cool enough. But they created room for the drummer (Player #1) and a few additional musical gadgets. He has his own rhythm section on the guitar. They then created room for the percussionist (Player #5). Does he have his own unique section like each of the other players? No. His instrument is actually part of the guitar portion of the GuitHarpUlele. But they did find a way to incorporate him. I suggest they could be even more intentional by adding a “hook” to the body of the GuitHarpUlele from which the percussionist (#5) could rotate through various small percussive instruments. This intentionality results in member engagement. 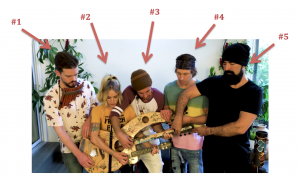 At virtually every point throughout the video, even when they aren’t playing any music (see Players #1 and #5 especially), all the players remain connected to the “house”. They are in a ready position, prepared to play their part at any given moment. As my colleague Dr. M. Elizabeth Holmes often says, WOTE has 100% of their team giving 100% of themselves to the group effort 100% percent of the time. How many organizations can say that? And even when they’re not actively playing any notes, all the members still maintain contact with the instrument. They’re still a part of the group. No one’s integration is superficial or limited to special events. Is it musically required for them to constantly touch the instrument? No. But I believe it speaks to the players’ belief in the message communicated behind WOTE’s intentionality: we believe WOTE values us and is committed to us. So we’re committed to WOTE. Some of you may be saying “Whoa DJ. You had me until you talked about Player #5’s role. I’m not buying it.” I get it. It seems like #5 has the short end of the stick. He’s more often just holding onto the GuitHarpUlele vs. playing it, and he sings the least amount out of all the players. You could also think that this means his role is rather insignificant. But if you watch the video from 2:40 on, you’ll see that his “insignificant” role has the ability to stop the entire band in its tracks! WOTE heeded his “contrarian” voice and stopped. Waited. Considered. And then resumed with the song once the green light was given. A house built for diversity makes room to consider the input, both positive and critical, of all members regardless of the size or the perceived “insignificance” of their role. If they’re a part of the group, their input is important enough to be heard and considered and acted upon if determined necessary. In other words, they must be lived out – not just talked about or applied arbitrarily. If a house has clear SPPBs that everyone acknowledges and adheres to, its organizational culture is likely effective at creating and maintaining a house built for diversity. But if its SPPBs aren’t clear or adhered to uniformly, it is likely struggling to create and maintain such a house. Does WOTE have effective SPPBs in place? Believe it or not, before they created the GuitHarpUlele, WOTE employed this same multi-player approach on a single guitar! See below for a pic or click here for live video proof. When they played together on the single guitar, they likely had SPPBs in place to dictate how they operated. 5 bodies and 10 hands on one instrument make for some close quarters! But because those SPPBs were in place and practiced on the smaller scale of the single guitar, I imagine that scaling up to the GuitHarpUlele probably wasn’t as big a challenge as it could have been had the SPPBs not in place. Did they have to be tweaked? I’m sure. But they weren’t starting from scratch. All participants knew from experience what the SPPBs were, and depending on how WOTE managed the transition, the changeover could have been a seamless process. Think about your own house. Do it have a requirements-based culture that allows for crucial differences to make a difference? Does it make room for all voices at the table? Are 100% of its people 100% engaged 100% of the time? What SPPBs does it have in place? And are they applied equitably across the organization? These are critical questions for every house to consider, whether they are building or rebuilding to become a house for diversity. Have a tune you think would be good for Diversity DJ to play? Or want to be a guest DJ? Drop us a line in the comments or at DiversityDJ@yahoo.com. Your partner in crafting solutions to you diversity challenges.